WASHINGTON (April 05, 2013) -- In August, the Army will convene a Selective Early Retirement Board for lieutenant colonels and colonels. The move is just one part of a larger Army effort to meet its congressionally mandated end strength reduction. 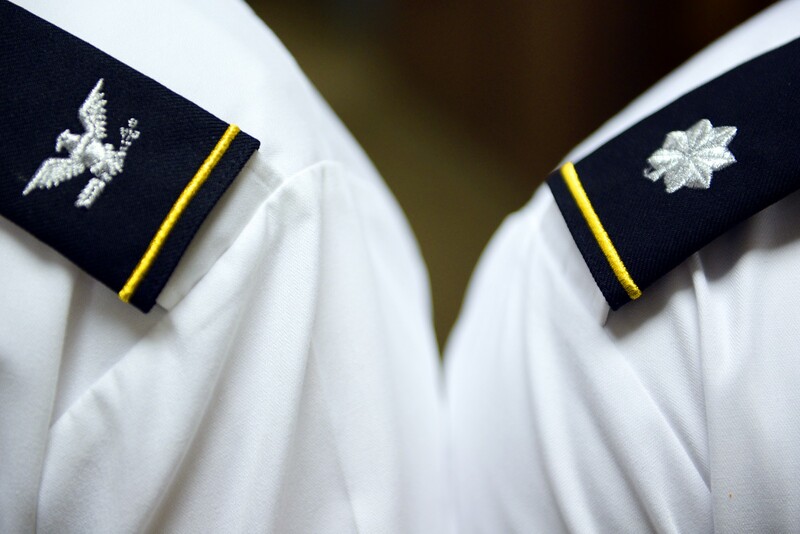 Currently, about 500 colonels and 700 lieutenant colonels in the Army Competitive Category meet the criteria for the Selective Early Retirement Board, or SERB. While the board may select up to 30 percent of those officers for early retirement, it's expected many officers may opt instead to apply for voluntary retirement. Those who meet the criteria for the August SERB include active duty colonels in the Army Competitive Category who have been a colonel for more than five years; and lieutenant colonels who have been at least twice non-selected for promotion to colonel. While the SERB is necessary to both reduce the size of the Army and appropriately shape the officer force for the future, it is a difficult action for the Army to take, said Lt. Gen. Howard B. Bromberg, Army G-1. "It's hard to do, because we're doing it to people who have supported us tremendously with great honor and service to the nation and service to the Army over the last 12 years while we have been engaged in the fight," Bromberg said. Bromberg said the SERB is not just about force reduction, it's also about force shaping and about ensuring opportunities for other officers to move up in rank. "What we have seen in the last ten years or so is that the average officer is staying about 10 percent longer than the norm," Bromberg said, saying that colonels that might have retired 25-26 years, a decade ago are now staying for 28 or 29 years in service. "It's just because they want to serve, which is very commendable. But unfortunately, in order to shape the Army, we are going to have to bring that down." Promotion rates to colonel over the last two years have been low, he said, at about 35 percent or lower. He said asking some colonels to leave will clear up spots for new officers to put the eagle on their shoulder. "Younger lieutenant colonels will still see that opportunity to continue to serve," he said. "What we don't want to do is have people say 'oh, [I] won't ever get promoted.'" For the Army to meet the mandated end strength goal of 490,000 Soldiers by fiscal year 2017, it must start making cuts now, Bromberg said. The SERB will meet on or about Aug. 13, 2013. When the results of that board are approved by the secretary of the Army, which is expected to happen in early January 2014, those officers selected will have no more than seven months before they must retire. It's expected the retirement date for officers selected by the 2013 SERB will be no later than August 1, 2014. Officers who know they meet the criteria for the SERB, but who choose to volunteer to retire instead of face the SERB, can benefit from an extended advance-time for submitting retirement paperwork. Typically, an officer can put in retirement paperwork a year in advance. Bromberg said that has been extended. An officer could put in retirement paperwork in June, for instance, before the August SERB, and plan his retirement date for September 2014. Officers who choose to voluntarily retire must have their requests in to Human Resources Command no later than July 8, 2013. Secretary of the Army John M. McHugh first notified general officers of the SERB late last month, and Bromberg followed that up with a message to personnel officers and staff Army wide, shortly after. Additionally, a Military Personnel message on the subject was released April 4.